Yolanda survivor Gil Alarcon had to pause and drink water as he recalled November 8, 2013, when he lost everything that mattered to him. TACLOBAN CITY, Philippines—It was the best of times, until typhoon Yolanda happened and gave them the worst of times. Then it was a season of darkness, and they struggled to find their way to the season of light. Two fathers were in their mid-40s in 2013. They had work and livelihood. They each had three young children with women they love. It was heaven. Then they found themselves going direct the other way. Gil Alarcon, now 49, was a carpenter-maintenance man at a hotel called Manhattan. He went home early, 5 p.m., on November 8, 2013, egged on by his 37-year old wife to evacuate because a strong typhoon was coming. 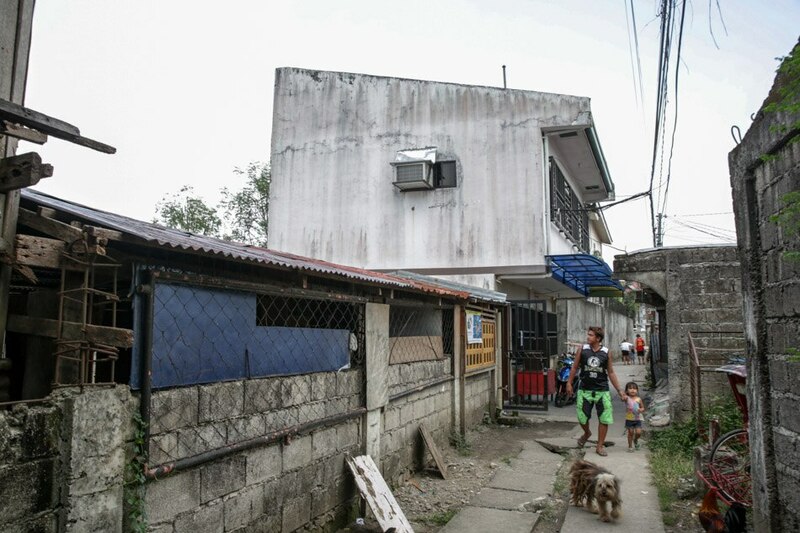 He approached a big house in their neighborhood in Barangay 63 in this city where he would work part-time and do handiwork. They were refused, and told to go back the next day when the typhoon would really hit. He suspected it might have been because he had toddlers, who may be unruly. Alarcon knocked on the door of another big house and asked that they be let it. He, his wife and their children — 4- and 2-year-olds, and a 2-month-old baby — had to go to the top floor of the house and highest room, thinking the water would not reach them there. “Nakikita kong lumalaki ang tubig, pinasok ko sa kuwarto ang pamilya. Tinanggal ko ang aircon, umakyat kami papunta sa bubong. Lumalakas na ang hangin. Ang tubig umabot na sa bubong. Hawak ko ang anak ko,” Alarcon recalled. That was the last time he saw them alive. The big waves came, and he lost grip of his children. He lost sight of his wife. 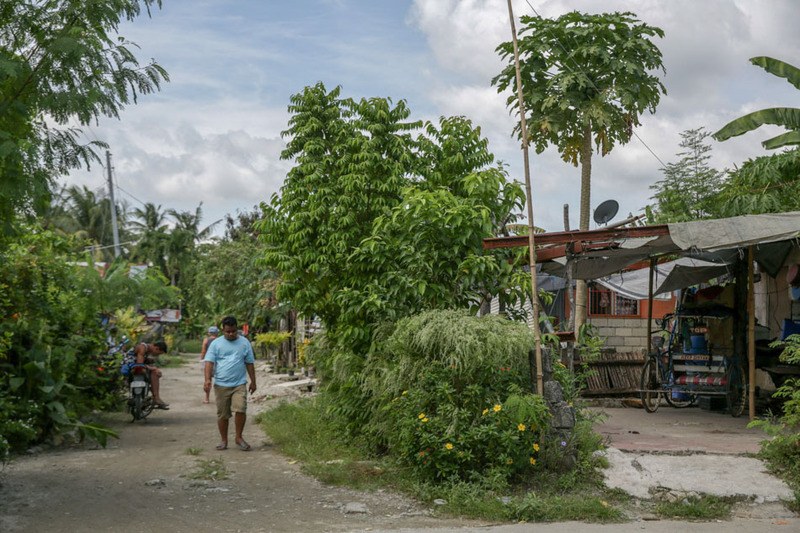 It was the next day when he would be directed to the way of the barangay hall and find his wife and two children. It took another three days before he saw his third child. Alarcon was a wreck, shocked, disoriented. There would be food aid after a few days, and villagers queued to get supplies. He kept to himself, subsisting on cookies or whatever food he could find. He wanted to bury his family but had no means to transport their bodies, had nowhere to take them. His family laid for days with a pile of other bodies he helped drag from the rubble. He and his neighbors covered the dead with whatever scraps they could find. It would be two weeks before he felt any hunger. 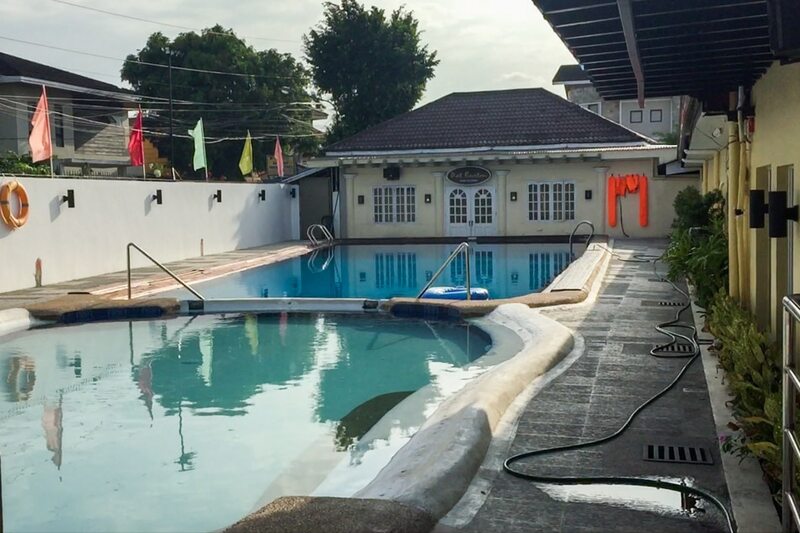 When he did, he approached an establishment called Budget Hotel (now Basic Rooms) beside the entry way of his barangay. He told a caretaker there he would help clean the place in exchange for food and shelter. When the owner arrived after a few weeks, he offered to be a stay-in caretaker-maintenance man. This would be how he earned his keep for the next five years. He went from visiting his family every day at the Holy Cross Memorial Park mass grave to visiting them every two weeks. He still remembers his family, he said, but the pain seems more manageable now. “Natanggap ko naman iyon kasi hindi naman ako lang ang nabiktima. Marami naman kami. Siguro ganu’n talaga ang buhay. Lahat naman tayo [doon] papunta, iba-iba lang ang ano. Kaya lang masakit kasi naubos iyong [pamilya] ko, pati mga anak ko,” Alarcon said. Ronolfo Robin punctuates his sentences with laughter five years after losing almost everything to Yolanda. About 40 kilometers away from Barangay 63, Ronolfo Robin, now 50, let into his house in Barangay San Antonio, Basey town, Samar, his neighbors who needed shelter and higher ground from the typhoon on November 8, 2013. They were told the water would come up to 6 meters, Robin said, so he, his then 30-year old wife, Shara Jean, and their children aged 6, 3, and 1, went to the second floor of their home, where they were joined by four other families trying to find shelter from the wrath of Yolanda. “Nabiyak ang sahig sa second floor. Gawa sa kahoy iyon. Nagkahiwa-hiwalay kami sa tubig. Naipit ang paa ko, napako. Umangat ang bubong. Nabitawan ko ang bubong. Humampas ang alon. Nawala ang bata,” Robin said. When the water finally subsided, only the kitchen sink remained. One by one, Robin found his children’s remains. One of them lost her entire right leg. “Parang manok na nawalan ng paa,” he recalled. Robin feared he lost his wife, too, because like the children she did not know how to swim. Shara Jean was in shock, without her clothes, but alive. Robin urged her to leave Basey and join her father. To Robin’s shock, Shara Jean did not and came back to him. “Dito lang ako, kahit mahirap, dito lang ako,” she said. It would be three days before any help arrived, and before anyone would have cellphone signal. Robin’s community subsisted on its crops such as bananas and farm animals that just died. He and Shara Jean transferred from temporary relocation sites made of tents, and relatives’ houses, before finally deciding they would try to rebuild their own house. It took them eight months before they were able to construct it. Robin is thankful for a religious group that gifted them with hair clippers and a pair of scissors. He said this is what sent him off his way to building a barber shop. This also provided seed money that allowed him to repair a pump boat that he used to ferry people. Things are beginning to look good. 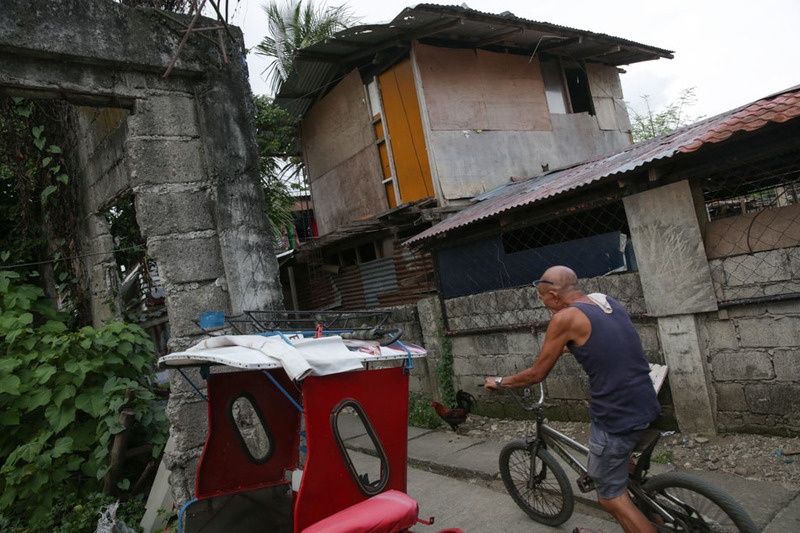 “Mabubuhay na tayo,” Robin said, as their livelihood began to stabilize. These days, Robin is busy with his and Shara Jean’s 1-month-old baby, Klay Ford. 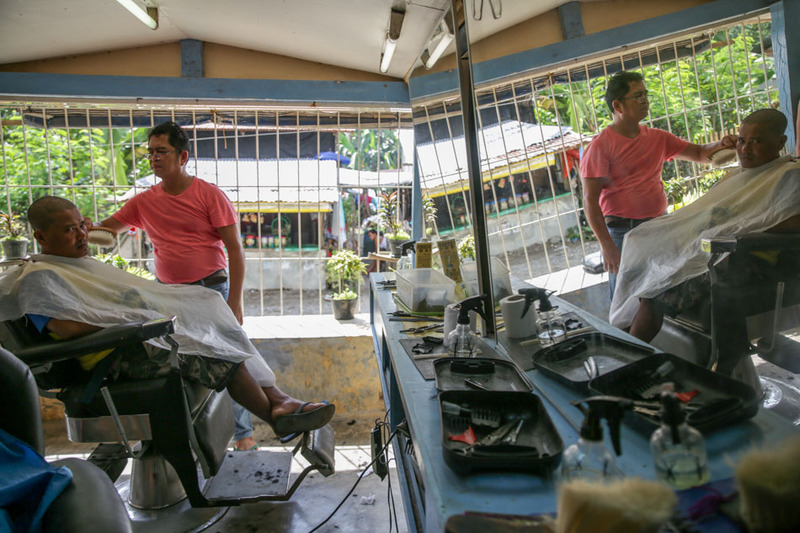 Within the next few days, he is planning to refurbish his barber shop, expand it to include a beauty salon where Shara Jean may service the ladies.